1.) Decrease your cravings for less desirable foods by enjoying nutrient-rich foods. Make it a habit to eat nutrient-rich foods, such as salmon, garlic, low sodium sardines, blueberries, and egg yolks every day. This is because the body needs real food to survive and thrive. A quick rule of thumb is to visit KidneyBuzz.com Impact Meals Section (click here) daily for quick to prepare dishes that contain all of the nutrient-rich foods that most patients need. 2.) Fresh fruits are one of the quickest ways to add nutrition into your body. Many fruits are high in potassium as well as phosphorus and are limited by Chronic Kidney Disease and Dialysis patients. However, there are some fruits that are lower in potassium and phosphorus which patients may enjoy and include blueberries, apples, cranberries, peaches, pears, grapes, blackberries, raspberries, strawberries, and plums. In moderation, these fruits will help to infuse a healthy dose of vitamins, minerals, and nutrients straight into the bloodstream to bolster energy, wound healing times, mental sharpness, and more. 3.) Try to eat local, seasonal, and organic when possible. A lot of patients are turned off by organic and local foods because they have a reputation for being higher in price. However, things are beginning to change. Several Chronic Kidney Disease and Dialysis patients have noted that since it has been acquired by Amazon.com, prices at Whole Foods have now dropped low enough that many patients can pick up a few items from the grocery store chain without breaking the budget. Seasonal fruits and vegetables are typically fresher and less expensive than those that are out of season. Email contact@kidneybuzz.com for a list of fruits and vegetables and their designated seasons. Patients can also consider growing some herbs to use in their dishes if that is something they feel comfortable with doing. Also, there are a growing number of farmers markets that sell fresh, local and seasonal foods. If you have one near by, then you may consider taking $15.00 to $30.00 to see if there is anything that you want to purchase and add to the week's meals. 4.) Skip the drive-thru. It is tempting to head to the local Fast Food Resturant on days that are more challenging or when you are tired. Hence, keep a few quick and easy recipes handy which you may refer to in a pinch that are tasty, healthier, and meet your dietary restrictions. Get your copy of the award-winning Dialysis Life Mangement Guide (click here) which highlights some of the top, most delightful recipes tailored for Dialysis and/or Diabetic patients. 5.) Remember that eating is emotional. Sometimes the strongest food cravings hit when Chronic Kidney Disease and Dialysis patients are at their weakest points emotionally. You may turn to food for comfort — consciously or unconsciously — when facing a difficult problem at Dialysis or in your personal life, feeling stressed or even feeling depressed. Emotional eating can sabotage your Renal Diet efforts and even your health. If you are ever finding yourself frustrated, anxious, depressed or demoralized with your situation, then remember it will get better. Strive to maintain your position on the Kidney Transplant Waiting List and let others know about your need for a Living Kidney Donor. If you are not eligible for a Kidney Transplant or have been waiting for a long period of time, then refer to all of the promising breakthroughs that are getting closer to market release. Try not to over-indulge, but recognize that you are human and if it does happen, then just try and do better going forward and work with your Dietitian to adjust your diet where necessary. Ultimately, it is important to realize that you are doing your best. These tips can enhance your efforts and help to improve your health outcomes. Still, we want to hear from you. What do you do to maintain and improve your diet? Share your insights with the over 69,000 Friends who have liked KidneyBuzz.com on Facebook (click here). 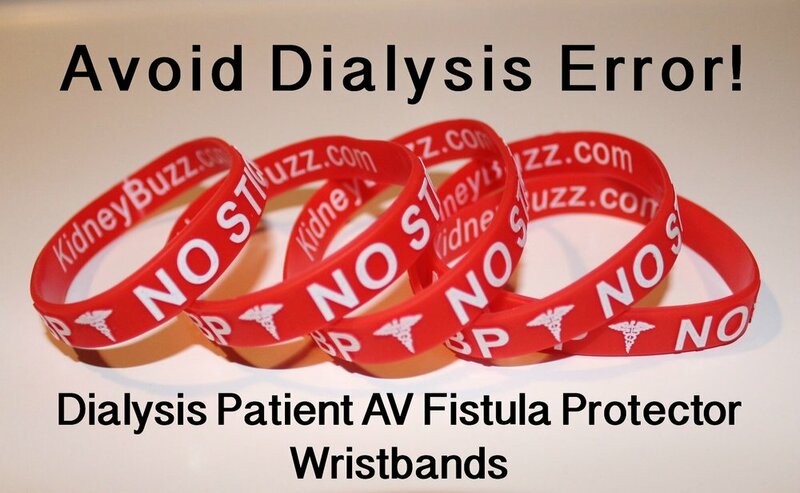 Also, follow the over 250,000+ monthly individual viewers who visit KidneyBuzz.com regularly for the latest daily news and information which teach those with Chronic Kidney Disease, Dialysis, Kidney Transplant, Diabetes, and Hypertension how to better manage and improve their lives. 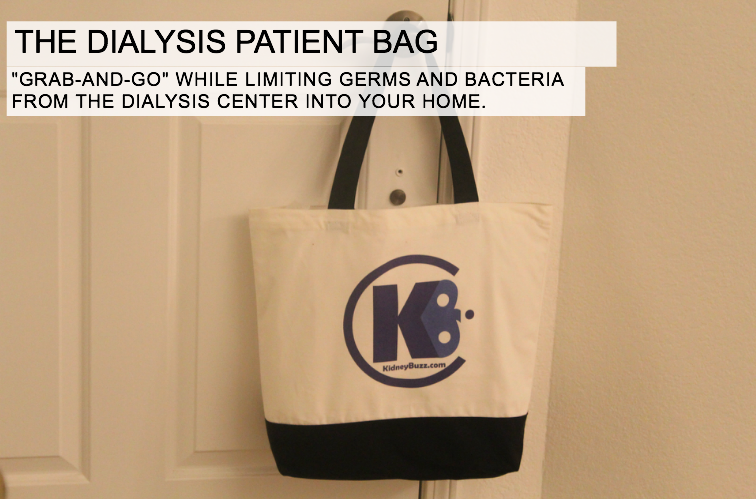 Erica Ashley Jenkins (Dialysis Nurse) said, "Hello I just wanted to let you know I work in a dialysis clinic and over half of our clinic reads this page, we enjoy everything you put on and love to have new information. My patients are very grateful." Consumer Report: "Don't Take Benadryl Every Day." Long-term Use May Be Risky For CKD & Dialysis Patients.